In 1998, Parmigiani Fleurier founder Michel Parmigiani launched the Kalpa: the brand’s now-distinctive collection of tonneau shaped wristwatches. The model featured one of the world’s few barrel shaped movements (i.e. the calibre PF110); and went on to become (in)famous for its somewhat idiosyncratic design — one which marshalled together ergonomics and in-house manufacture. For this edition of SIHH, Parmigiani introduced three new models to its existing Kalpa line-up: namely, the Chronor, Kalpagraphe Chronomètre and Hebdomadaire. All the new additions are typified by in-house movements, exhibition style casebacks and come standard sporting alligator straps sourced from Hermès. That being said — cosmetic similarities aside — there’s plenty of discussion to be had about the new movements Parmigiani are introducing to go with these watches — particularly in the case of the limited edition Chronor. Produced in a limited run of 50 pieces, the Kalpa Chronor features the world’s first fully integrated solid gold movement. Offered in a limited run of 50 pieces, the Chronor is being positioned as the ultimate Kalpa collection wristwatch. It houses the world’s first automatic integrated chronograph made from solid gold — the result of six years’ R&D at Parmigiani. The Kalpa Chronor’s caseback is decorated with a barley grain-esque guilloché motif. Despite being composed entirely from rare metal the calibre PF365 doesn’t compromise on accuracy, beating at the super-fast frequency of 36,000 vph. 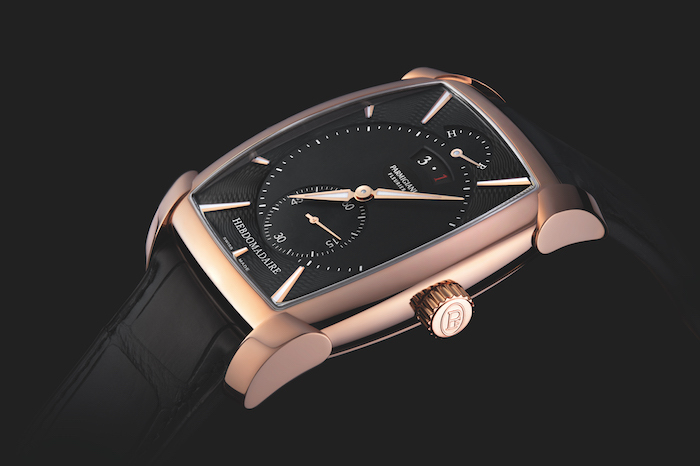 The dial is executed in a bipartite black and gold style, decorated with hand applied indexes of 18k rose gold. That opulent Midas theme is echoed on the caseback, where wearers can observe the calibre’s 22k oscillating weight that is decorated with a barley grain style guilloché motif. The Kalpagraphe Chronomètre can be distinguished from other models in the collection by its marine blue dial execution. If the whole black and gold shtick doesn’t do it for you, the Kalpagraphe Chronomètre might prove to be the most visually appealing of Parmigiani’s SIHH releases. Unlike the aforementioned Chronor, this model features a blued dial execution and a movement that is functionally identical to the PF365. On the subject of that movement — the COSC-certified PF362 — it is not made with the same abundance of solid gold as its counterpart in the Chrono; and although some individuals might assert that this detracts from the former’s aesthetic value, the significant price differential is sure to be well received. The Hebdomadaire hews fairly closely to the original Kalpa model, but is updated with Parmigiani’s in-house PF110 calibre. As we’ve seen from numerous exhibitors this year, tribute models were also hugely popular at the Salon. 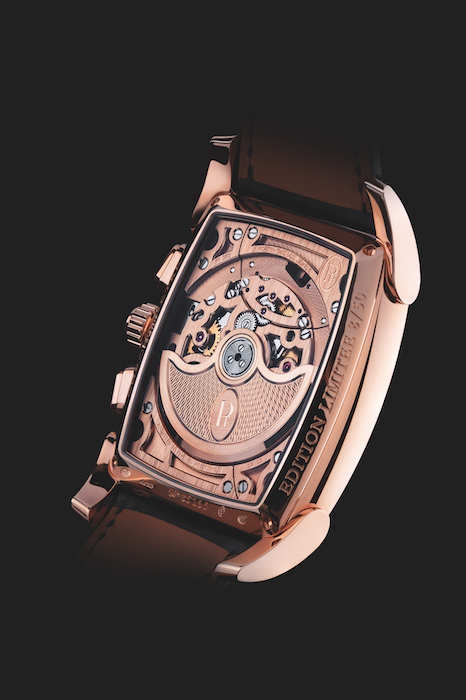 Parmigiani’s entry in this category is the Hebdomadaire: a fairly faithful replication of the original Kalpa, updated with the calibre PF110 — a manual winding movement with a whopping 8 day power reserve — and an 18k rose gold case. Compared to the Chronor, this release comes across as fairly stripped back. A sub-dial above the 6 o’clock position displays ticking seconds whilst the day and date are visible in an aperture at 12 o’clock. As with all models announced at SIHH this year, the Hebdomadaire features the distinctive 18k rose gold indexes typifying the Kalpa collection. 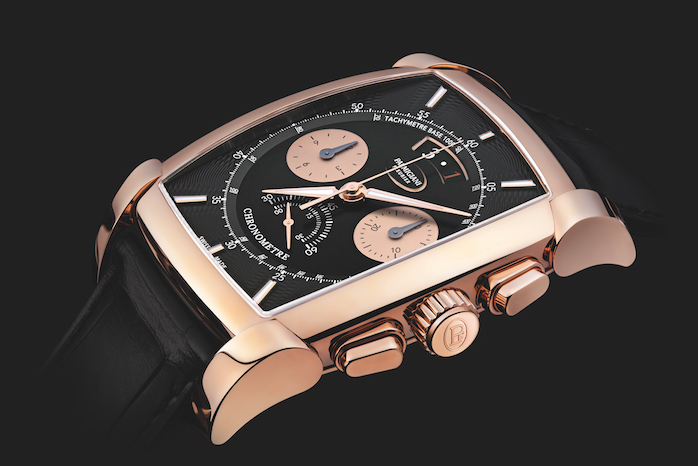 The Chronor is being released in a limited run of 50 pieces, priced at US$85,000. 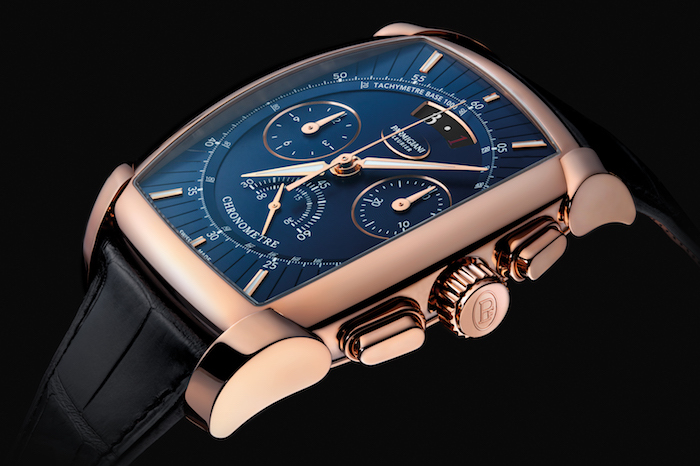 The Kalpagraphe Chronomètre is priced at US$35,000. The Hebdomadaire is priced at US$32,500. To explore the rest of the Kalpa collection, visit Parmigiani Fleurier.